We know many of you are waiting for a cross-platform C++ IDE we announced some time ago, as we’ve received quite a few applications for a private preview. We were really impressed with your feedback and increasing eagerness concerning our new IDE, and we want to update you on the current state of its development. Application development for any platform: Linux, OS X, or Windows (Cygwin, MinGW). C++11 support (including lambda functions, raw string literals, variadic templates, decltype, auto and more). Code analysis and many suggested quick-fixes. Refactorings (extract method/variable/typedef/define/etc., change signature, rename, safe delete, and others). Preprocessor support (so that all useful features can help with macros too). Clang/LLDB support is planned for the next EAP builds. Oh man i can’t wait, I with you’d choose me! Oh man, can’t wait! I wish it was available with Intellij IDEA as a plugin! We don’t have such plans now because don’t see any particular use case. What’s yours? Ok, got it. Thanks. We will consider this in our future plans but nothing in particular to promise you now. Not only this. I really like having one ide for everything. Since IntelliJ already is such an app, not including c++ would be incomprehensible. For example I develop 3d engine (C++) and blender plugin (python) under one project. So please reconsider c++ as a plugin..
We will consider your request in future planning. Thank you. IDEA provides more than just Java, in one of our projects we have C++ core, reams of XML DSL code (for which we have developed custom tooling built on IDEA), some Groovy scripts, Perl, Python and others. We use idea for everythng except the C++, which is painful. Also, consolidated search for symbols would be great. BTW do you know that AppCode (and C++ IDE also will be) supports XML, HTML, CSS, JS also, not only ObjC/C/C++? I have no use for a pure C++ IDE. I’d say that polyglot programming is the new norm. Do you mean for the duration of the EAP or in general? In the comment section of the announcement link Maria Khalusova said that C++ functionality will be available as an Intellij IDEA plugin. Is this information not correct? I certainly see it as an use case to be able to use the same IDE for multiple languages. Unfortunately, plugin for Intellij IDEA is not in our plans right now. You can use AppCode on OS projects or C++ IDE for CMake-based projects and various platforms. C++ functionality is also available in ReSharper for those who are using Visual Studio. Does that mean paying a separate license? Because currently the main IntelliJ license allows you to use plugins from all the languages and that was one of the reasons for me picking it up. Not having that for C++ would be really disappointing. For now yes. But have a look at AppCode Preferences | Plugins list. There are many items too. Daniel, in fact it’s just not a priority right now based on studies we have which cover uses cases of people using C++ with other languages / platforms. But we may come to this later and consider the possibility then. I might not be the only one here, but maybe if you JetBrains would just increase the price of IDEA + C++ as a bundle, say by 20 euro / renewal, or 40 euro fresh license, everyone would be happy. I do appreciate the effort it takes to deliver something like this, especially at the high standards of quality you are doing it. I would use C++ more if it was a plugin integrated into IntelliJ. I would pay extra for the plugin. Anyone who’s using JNI. I have used it to do realtime image processing on video using OpenCV in a Java app, for example. Are there plans to support other build systems (ie. Boost.build or Makefiles)? We are planning to support other build systems in later public releases. To add to the use cases, I recently used node.js+mocha to specification test a C++ command line tool. My current approach whilst developing this tool has been to develop the C++ code in Visual Studio, write the CMake files in Sublime Text and maintain those tests with WebStorm. Development on a mixed language project with bindings (C/C++ db/cache/queue core, bind/0mq into java app server, typical middleware stuff w/ spring). I would like this as well. I have completely converted over to IntelliJ for about 90% of my work at the moment(4th year CS student at UMass Boston) This semester I am doing a database backed web development course, Java Compilers course in Java, a software engineering course project in C++. I’m also using android and Arduino for the freshman success community I help teach. Having an IDE that could do almost all of those (Arduino aside) would be amazing. Not to mention how easy IntelliJ makes version control integration, we could pretty much standardize a bunch of stuff around IntelliJ, reducing some clusterf***s regarding setup and allowing us to spend more time at the command line with the newbies. Frankly? A need to keep my desktop environment uncluttered. My desktop is a powerful enough machine to take any performance hit from a plugin vs standalone app, and I’d much rather have a single IDE for my most used languages rather than multiple ones. What are your most used languages? Anyway you will be able to use C++ IDE with a set of plugins for HTML, XML, CSS, etc. HTML and CSS are probably the least relevant second ‘languages’ for a C++ project. What’s you suggestion? We’ll be glad to here. Adding a vote for Android NDK coding. The core software should allow that. Hell, I’m already considering buying an IDE for the first time, well, ever, because of AppCode C++, just to have something that doesn’t crash as much as Eclipse. Make a full Android offering and I might as well throw my money at you right now. To “stir the pot” a little bit here, I fully support the decision to keep C/C++ in a separate IDE, so keep up the good job focusing on making it optimized for C/C++. I prefer tools that are focused on doing one thing as good as possible before integrating as many function as as possible (it’s comparable to those “multi-tools” for the workshop, dedicated tools almost always do a better job). There is a lot use cases. I use PHP, Java, C++ (OpenCV, Boost), Python, Clojure almost daily for scientific and web development task. IntelliJ IDEA is ideal platform for me. From Django to Java and back – now when I am doing C++ work is switching to Netbeans or Xcode as waist of time (and also pain, because of another workflow and keymaps – and I also missing gorgeous Darkula theme:). +1 for that wee need plugin. May be in future. Right now the priorities are different and the resources are limited. But we will consider it later. what I like of intellij is its excelent support for many different languages so I don’t need to switch to a different IDE, not having support for C/C++ surprised me when I tried to create some bindings of a native library for python and nodejs. More than anything, if I’ve already purchased a license for IDEA, why would you make me purchase a license for your new C++ IDE? Almost all of your other tools are available as plugins for the IntelliJ IDEA Ultimate user; the C++ IDE should be too! I for one am glad that it is not available as a plugin. C++ is different enough from either Java or C# that to try to cram it into a do it all IDE is a mistake. I think Microsoft Visual C++ usability and performance for C++ is significantly worse with the current IDE (for several releases now) where C++ is just one language among many in the IDE, as opposed to where it was focused on C++ (ie Visual C++ 6). In conclusion, I would vote for the C++ IDE to always be a separate program and NOT integrated into Intellij. Yes. And in AppCode and C++ IDE we support not only main ObjC or C/C++ but also JS, XML, HTML, CSS. You can open Preferences | Plugins in AppCode for example to have a look. So the upcoming C++ IDE will let me work with (some) other languages then? I certainly wouldn’t need full Java/PHP/whatever functionality in a C++ IDE, but HTML, CSS, XML are imho essential. If that’s included, I’m fine with the decision not to make it a plugin for IDEA. All these languages are available in AppCode now and of course will come to C++ IDE as well. Да, конечно. С тоже в планах. Пока в первых релизах С99. Потом, будем планировать и С11. Will AppCode be a sub project of the C++ IDE? They are separate. You can use AppCode on OS X projects or C++ IDE for CMake-based projects and various platforms. will c++ ide support vc project(sln)? When can I buy this? I would happily pay to get access to alpha versions which are a preview. Just fill the form: http://www.jetbrains.com/objc/features/cpp.html#form And if our private preview covers your project needs you will get the private build for free. Is it still possible to request a private preview? Unfortunately, no. We already have quite many developers (we were really impressed with the total number!) filled the survey form and so requested the preview build for testing and evaluation. And our resources are limited so we suggest you to wait till the public EAP. We don’t have the particular dates for it but after finishing private preview feedback collecting we’ll start preparing the public EAP. Awesome! If you need a beta tester for the GNU/Linux version, I’d love to participate! Yes!!! Support for Glade (GTK) would be nice as well. I’m working into integrating GDB support for golang into the plugin for IntelliJ IDEA, and while it was ‘fun’ so far, how can I get more details about this and if the API to use GDB will be open (and possibly available cross-platform, meaning for PHPStorm and rest). No plans for now unfortunately. Is there any place where I could ‘vote’ / lobby to have this functionality on release? Can’t wait for the next release with LLDB support. It’s been nice to brush up on CLI debugging skills recently, but please, take my money for a GUI-based implementation. Will buy please send me the link where I am buying this. C++ has been something i haven’t done for a while but i am ready to write a new project of mine that secret can’t tell but very exciting! I really enjoy what you russian are doing here, (I don’t like the politics since I am gay but that’s not your issue). This music kills me :), can’t wait for the IDE. I wish there was a native resource builder for Windows apps there too, with form editor, icon editor, manifest embedding etc. IDE is written in java? Yes, it’s based on our common IntelliJ platform. If it’s already based on Intellij program why not release it as a plugin? I thought IDEA was polyglot but am not feeling the love when I need to code in C/C++/Objective-C. You charge a subscription so you can add these new features… Yet you say it is not in your current plan to release it as a plugin, but as it is built on Intellij platform isn’t it already module/plugin just kept in a private repo? This is a slap in your face to your current IDEA subscribers. Is this what we can expect for all new languages your decide to build on the Intellij platform first AppCode now Clion? Will you just keep raising the subscription price and not include new languages? Will you not release the plugin for it because it makes you more money? Why do you call it your polyglot IDE if you are not going to support every plugin you can? When you obviously have wrote the plugin/module on the IntelliJ platform and should support it. I am an avid fan of IntelliJ but at the very least you could release it to us as an additional subscription fee and let us have the download for both. Thanks, A very frustrated Intellij platform user. CLion will be released as a plugin for IntelliJ IDEA, but just not now, we’ll consider this after 1.0 release for sure. We are a bit limited in our resources and have more priority tasks to spend it to. But be sure we’ll come with it in future. AppCode won’t come as a plugin cause it’s a one-platform IDE with heavy reliance on Xcode tools. We will collect the requests and consider the most popular for the future releases. Will it support using MSVC as a compiler and cdb as debugger on windows? Right now it’s gcc and gdb. Other variants will be suggested later. May be ReSharper fits your project on Windows better http://blog.jetbrains.com/dotnet/2013/06/26/resharper-to-support-c/ ? How does the debugging work? You wire it up with gdb somehow, and the IDE understands how to do source-level debugging? Can you interactively reset the instruction pointer in the debugger, i.e., when it’s broken in the debugger, can you manually set the execution point to be someplace different? This is something Visual Studio (and all the Microsoft development tools over the years, going back to CodeView in 1988’ish) have always been able to do both in C/C++ and C# (not sure about other languages). I can’t do this in IDEA/IntelliJ; not sure if it’s an IDE/debugger thing, or something about the way the JVM works. Do you plan to permit this with the C++ IDE/debugging support? I want to stress: for me, good support for interactive debugging is WAY more important than all the features you showed in this video, with all respect (I’m a big IDEA fan, and am totally willing to shell out some shekels for a professional-level tool that has great debugger support, whether it’s gdb under the covers, or whatever). I’m always looking jealously at the “Java guys”, because they simply have the best IDE in the world. IDEA’s understanding of code and its countless productivity features are state of the art. Eclipse CDT or qtcreator is what I’m using for cross platform C++ development, but both are lightyears behind IDEA. For me, the editor is the most important part of an IDE and I hope the C++ editor (+ surrounding infrastructure) will be as capable as the one in IDEA. Will we be able to set the language level, similar to how you set the language level for java ( java 5, java 6, java 7, java 8, etc.?). I’m hoping the editor can handle older c++ sources as well as new C++11 source. From the moment that you create a virtual function it should add a remark about the missing virtual destructor. Yes, we definitely should. The quick fix should be suggested. I’ll be at the top of the line when it will be available for purchase. I already applied for the private beta and really hope I will be able to get my hands on it asap. Look really promising and filling a long-standing gap in the C++ IDE arena for Linux/OSX. I’m just wondering (as a vim user for all my coding): will there be a vim-mode for editing (like there’s in AppCode via plugin)? Yes, it should come from AppCode to C++ IDE. Add another vote from me for C++ support in IDEA. I often call native code/libraries from Java via JNI and would love to seamlessly move between the two codebases within the one IDE. So excited. Something gonna buy next. What’s the support going to be like for Make/Autotools support? There’s a lot of existing projects that use Autotools. If the IDE is delegating to the build tool, then hopefully it’s not that complicated. Are there plans to support libtool or other wrappers for debuggin? One of the most annoying features of Eclipse’s CDT is that you can’t debug libtool archives. Other build systems will come in later releases. And all these things will depend on users feedback and features voting in tracker. Finally, another vote for C++ plugin for IDEA. A separate IDE is awesome, but a plugin even with reduced ergonomics is great too, when you need to work, say on both C++ and Python at the same time! Unfortunately CMake files are used as a project files for the IDE. So you definitely should have cmake-based project to open it in C++ IDE for now. But cheer up! We are planning to include more build systems in some future. In my opinion, support for the GNU Build System is a must in a multiplatform C/C++ IDE, given the huge quantity of multiplatform code that exists nowadays which uses this build system. I’m really looking forward for this new IDE, but for my business the lack of Autotools support is a deal-breaker. I hope it’ll be included very soon. Good work, the AppCode and C++ IDE Team! Hope you get this thing rolling. Using it seems like a nice way to study a language as well. I moved from eclipse to IntelliJ 6 months ago and kick myself everyday why didn’t I make the move earlier. I have summarized few most used shortcuts which would be handy for c++ developers as we’ll. Will Structural Search and Replace be available? I use that feature in IntelliJ a lot to help refactor large codebases. I know this might sounds crazy but is plausible for Jetbrains to also support D lang too? The language is in need of a stellar IDE and most other tools for it are sorely lacking. Anyway, thanks for listening! Will the new C++11 support be added to AppCode? Well done guys. Hanging to get my hands on the EAP. The private preview will come soon. And the next public release depends on the private preview’s feedback. Why can’t we have access to whatever last private beta you built? If you had enough feedback, and you don’t want anymore, I promise to not to provide anymore. If you are concerned that I’ll be disappointed and that I’ll never check again the status of the product, I can pay now in advance for the final release…. If you just could let me use it it would be way better than what I have to use now. Why private beta anyway? We’re all grown-ups and understand that it might not work well yet, and crash, and eat our code, and so on. But we’re all waiting to try it… why not let us try it? We gave the private access to the limited set of users, they ready to provide the feedback to us and their environment is supported by the current state of the C++ IDE. This environment has strong limitations and in other cases IDE can’t run properly or the projects are not supported for now. So please be patient. We are working hard on the delivering the public EAP asap. Is the use of CMake required? My company has a very large codebase and custom cross-platform gmake makefiles. Currently, I use Source Insight and can just tell it to slurp in all files in a directory tree (with exclusions if I like) and it does the best it can analyzing those, which is a pretty good job. The main features I get out of it are “Find usages of” (important in a 40MLoC program) and smart renaming. Will this IDE be able to work the same way? SI is pretty good but it doesn’t appear to be actively maintained anymore so I’m looking for a good alternative. However, changing the way my entire department builds its software is not a realistic option. For the first release CMake is the only build-system supported. Others will come later and which exactly depends on users voting. Ok, thanks. Perhaps I can create a fake CMake file. Let me join the private preview, please! It’s so amazing! Насколько сложные CMakeLists поддерживаются (свои cmake модули будут подхватываться)? Будет ли возможность обрабатывать всякие обёртки на других языках доступных из CMake, в первую очередь python интересует? CMake сейчас основная и самая приоритетная билд-система. Она будет всячески развиваться от версии к версии. Всякие сложные штуки-обертки вряд ли будут сразу, но вполне возможно чуть позже. will remote development be supported? All specific features will depends on users requests and voting and may come in later releases. Will the IDE be aware of constants/defines defined through the -D compiler flag? I have a project which defines several constants (e.g. PACKAGE_NAME) in the Makefiles (should be possible with CMake aswell). The most anying thing with Eclipse was always that it marked these constants as errors because it did not find the definitions. Also, does your IDE use libclang to analyse the source and perform refactorings, or have you implemented something else? Our own analyser is based on Clang with some parts of our own. And about an option I agree it’s a useful feature and we will consider it. Will it also be possible to develop in C ? Yes. C99 for now. C11 a bit later. How the IDE performs now for example when editing complex template code like boost? We are still working hard on the build and new features. So let’s talk about some final result a bit later. It’s mutable now. But we are striving for the best putting big effort to the performance item. I don’t use IDEA, but I do use PHPStorm and WebStorm. For C++, I variously use Codelite, NetBeans, Eclipse and Vim, as none of them work as well for C++ as PHPStorm works for PHP. So what I’d like to see is the C++ IDE be as use-friendly as PHPStorm. I’d also like to see discount pricing for people who buy more than one IDE product from JetBrains. That is, if one is like me and buys 3 IDE products, the price per product would be a bit less than just buying one. Without the price discount, I tend to lean towards wanting all my languages available as plugins in IDEA, which I can then buy for less money than 3 stand-alone IDEs. Looks good. I think Jetbrains should consider this. And how about education member who buy multiple Jetbrain IDEs ? We will consider such situation. It all looks fine when it’s a few lines of code, but using an IDE programmed in Java to do large scale C++ applications, I’ve tried before with Eclipse and various plugins. I always end up with Emacs in the end..
Just amazing, waiting for a first public builds! Thanks! This has a lot of promise! Looks like the editor is very capable. It would be great to have an IDE for Linux and MacOS which is comparable to Visual Studio. And as I use RubyMine, it would be particularly cool to have an equivalent of RubyMine for C++. Скажите пожалуйста, будет ли поддержка wxWidgets, дебагера на подобии как в Visual Studio(по мне так он очень удобный, проще отследить работу кода)? И когда ваши пробудты попадут в репозитарии каких либо дистрибутивов линукса чтоыб проще было ставить и видеть их все, в часности Ubuntu? Дебагеры другие будем поддерживать чуть позже, выбирая сначала те, которые более всего популярны у пользователей. Когда будет такая возможность, можно будет создать запрос на фичу в треккере и проголосовать за нее. По поводу репозитариев и дистрибутивов – пока ничего не могу сказать, конкретных планов пока нет. А что по поводу wxWidgets? Всетаки если C++ IDE кросплатформенная то виджеты это как бы одна из составлящих кросплатформенность. Пока хорошую поддержку виджетов я вижу только в Code::Blocks но проект медленно развивается. Тут пока ответ такой же – когда будем думать, что дальше добавлять в C++ IDE из новых возможностей, обязательно посмотрим, что запрашивают пользователи и что у них популярно. Пока план минимум озвучен, все остальное будем обсуждать и решать позже. Скажите, а есть примерные сроки например тестирования, релиза? Сейчас некоторым их тех, кто заполнил анкету (а именно тем, в чьем окружении по нашим оценкам билд должен заработать), мы пошлем private preview. Это будет уже в самое ближайшее время. Как потом будет по срокам, будет зависеть от фидбека по private preview. 2. Making at least the Python plugin available for the C++ IDE would be incredibly helpful. A lot of developers use that particular combination, and I have a team of five or six developers with whom I work who would almost certainly buy corporate license for exactly that use case. I am sure we are not the only such team out there. That’s not true that we are not planning the C++ plugin for IDEA at all. I just mean that we do not have such plans right now cause there are many things with the higher priority and the resources are limited. I suggest we will be back to the point later. Considering pricing suggestions, thanks a lot, we will definitely discuss the possibility inside the company. By the way C/C++/HTML/JS/CSS/XML are all available in AppCode (together with ObjC) and in C++ IDE this support will also be present. Another Idea is for Embedded C Development. There are not a lot of Embedded IDE except for Eclipse, Atmel Studio, Ardunio (sort of), there maybe some more, but those are the only ones I know of. Also Scons support that would be useful as well. When do plan to release it? Does it have a feature of remote compiling? For example I’m currently working on OSX and compile under arch linux on remote host. Hello Andrei! Right now we have started private preview iterations and it strongly depends on the feedback when the first public EAP and then release will come. So I can’t tell you any particular estimations now. Remote compiling feature may possibly appear in some future releases. We will consider it later. Anastasia let me participate it your testing as an exception. I’m using a development version of netbeans for almost a year, posting bugs every day but it’s not getting better:( It’s better to post bugs on your great IDE then to waste time on a poor product. Of cause if it’s possible to work with your IDE in it’s current state. You’ll save my nerves and I’ll spend some time of my life to help you make c++ IDE better. And even buy it:) It’s a great deal. Have you filled the form here http://www.jetbrains.com/objc/features/cpp.html#form ? The private builds have some limitations for the environment in which can be used. So tell us about yours in this survey for us to decide if it works for you. I have to work with real big code base (several millions of LoC) with perplexed templates, variadic macros and the like. And I am a kind of doubt that an IDE written in Java will cope with parsing and indexing all this stuff in reasonable time and without running out of memory. Both, Eclipse and Netbeans, have already failed. We also had such concerns ourselves for many languages supported on the IntelliJ platform base. But finally we had some great experience in solving such a task so we will try to cope. Waiting anxiously for the C++ IDE to come out. Could you please tell when it will be officially available on the website for download? Is there a beta version? Right now we have started some private preview iterations. And the public EAP dates will strongly depends on the feedback collected. I have a bit of a problem. The IDE recognizes everything when I configure the toolchains (http://i.imgur.com/BIQMhLn.png). When I go back to the code it gives me errors (http://i.imgur.com/F0WSXAZ.png) but it compiles and works (http://i.imgur.com/0MNW22j.png). How can I fix this? Have you reloaded the project after toolchain configuration? Right now it’s not applied automatically unfortunately. Yes I have. It didn’t seem to help. Sorry, I didn’t mention at the first time that you are using MinGW 32-bit. Could you please try 64-bit one? By the way, what’s the background music in this video? Скажите, а в ваших продуктах не планируется поддержка других языков переводов кроме английского? Если нет то почему? Не думаю что это было бы проблемой. А кому то было бы проще пользоваться. Пока что не планируется. Основная причина – наличие устоявшейся терминологии на английском. Так что такая объемная работа по переводу может оказаться не очень полезной на выходе. Я думаю что такие переводы компания могла бы дать на помощь сообществу, создать форму с наборами на английском, слова и термины, и выбор на какой язык переводится. И люди бы вам в этом помогли, вам же только прекрутить готовое. I understand that the first EAP has begun and I would ideally like to be included. I understand that the first eap will work on linux, gcc, gdb and cmake. If this is the case please consider adding me to the list of EAP testers. Hurry up, the form will be closed soon! We have quite a lot of submissions. Can you give us the correct answers to be matched for the next EAP? There are no correct answers. Please describe your environment in which you are able to try the build. Did the EAP go ahead for Linux, gcc, gdb, cmake yet? I have signed up a with a couple emails but have not heard back regarding my inclusion / exclusion for the EAP. Yes, we’ve started the private EAPs iterations. You have filled nmake as a build system, haven’t you? This is the main reason we can’t provide you with the build though there are several other non-fitment of the environment for now. I have a couple of registrations in your database, one with the email developer.comunicorp which was Linux,gcc,gdb and cmake. I am currently working with this exact configuration using intellij as the editor so a chance to try out the new IDE with debugger support would be great for me. I see. Are you using GDB 6 as you’ve filled in the survey? We are supporting only version 7.6+ for now. I have just upgraded to gdb 7.7 and tested it out. I think all the variables should line up now… Thanks for taking the time to get back to me. Yes, I’ll recheck with the next build. Just wanted to say thanks for the EAP. It may only be a beta build, but in my opinion, its already probably better than most of the other C++ IDE environments on Linux. I’m running C++ IDE EAP 2. When trying to Debug a program it reports “MacPorts with GDB not installed”. I use Homebrew and I got gdb 7.7 installed on my Mac. Do I really need MacPorts? Or is there a way I can tell C++ IDE to pick up the gdb installed by Homebrew? Right now yes, you need MacPorts for debugging in second preview of C++ IDE. Homebrew support will be included into the next build. 2. Support for Linux Kernel Kconfig files and regular Makefile’s. There is no ANY IDE supporting Linux kernel development. Be the first one! Will there be a plugin for supporting C# within the IDE as well? Or one for IntelliJ? We don’t have such plans now and for the nearest future. Will obj-c support be available within this IDE as well? What’s the case for this? Obj-C usually means Xcode projects and OS X/iOS specific projects. So AppCode goes for it. And it has C/C++ languages support. Is there a time frame on when C++ IDE is going to be released? Right now no specific dates and time frames are available. We’ve started private preview builds recently. After handling all the private builds iterations and the feedback we will prepare the roadmap for public EAP that will be influenced by the feedback greatly. Signed up for the EAP and got denied because of my environment – not sure which element of my environment was the issue. But, man, was I blown. Does this mean I need to wait for the public EAP or will I get an awesome email some day about how it will now work with my environment and I can try the private EAP out? Looks like your build system is unsupported now. So you won’t be able to open your project in C++ IDE current build. Other build systems are in plans but I can’t promise you any particular build or date right now. Does the current build support plain old C now? Will there be a way to have this bundled into the ultimate release? I have a project that has various facets including C++. I would prefer to have them all recognized inside the same IDE instead of being required to run another just for C++. Ok that would be valuable. I wasn’t recommending that the ultimate version should just have it added freely, although this would be nice, if the C++ support is done well I understand the need for an additional cost and it is something many of us have been waiting for awhile. Considering whatever reasons please, keep in mind a way to have it accessible through one IDE in the future. Absolutely agree. Additional cost are acceptable and fair. But please make as plugin for IntelliJ IDEA. If I can run it on FreeBSD–which, like OSX, uses clang as it’s compiler–without Linux emulation, I’ll be all over this. If I can run it with linux emulation, I’ll still be tempted. I signed up for the private EAP with multiple platforms (OSX and Linux) but got an email saying that your build environment isn’t supported. The message I wanted to send out was that I was willing to test it under any OS to make it better. I am reading comments that the first EAP is out on Linux. Is there anyway I can get access to it? Thanks. No, first build supports all the platforms (Linux, OS X, Windows). But it is limited with the build system (CMake only), compilers (GCC and Clang), debugger (GDB7), some libraries limitations and language dialects also. Linux-GCC-GDB7 or OSX-Clang combinations are the only features that I am currently looking for. Is there a way I can get access to download a build? Thanks again. Unfortunately, your pointed build system is unsupported yet. Thanks Anastasia. I use Make for building, but it won’t bother me if its not integrated within. Hope that convinces you. I just like the IDE way too much. :). The problem is that you won’t be able even to open a project in C++ IDE without CMake files describing a project cause right now IDE uses them as project files. I see. Yes, then what would be an issue. I hope its not a long wait before I can access a build. Thanks. Yes, it’s cross platform one. So Linux, Windows, OS X. A c++ plugin version was already asked by many. But would it be possible to make all intellij IDEs available as plugins? Just as with eclipse. So if I need c++ and python, or APL with ruby I just switch perspectives? A lot of thing are already available via plugins. C++ IDE supports JS, HTML, CSS, XML. We will consider switching the Python plugin on. And all others can be also discussed. So we can run this IDE on a laptop running Windows and edit/compile/debug our projects storing in the remote server using ssh as the communication method. Not the first release. But we can consider it later. I’m afraid yes. We have quite many developers who have filled the form. And very limited resources. So please wait till the public EAP. will this IDE support CUDA and OpenGL? What do you mean? Just libraries? yes libraries . with note to thrust. Syntax recognition, debugging – will be more or less working. Project templates is a question of future features to introduce in further releases. Can be considered. sorry couldn’t edit the post. didn’t want a double post. but also should be able to compile CUDA code. i also haven’t heard anything concerning LLVM. are there plans for that? In fact all these specific features will be considered discussed after first release. You will be able to fill the feature requests in our tracker when the public EAP comes and vote for them to increase the priority. We will follow the list. It is getting soooo hard to wait for the public EAP. Like the other JetBrains products, will the IDE feature IdeaVim? This is some reasonable feature request that we consider. The priority will depends on voting in tracker when the public release come (if we don’t do it earlier). Is there any way I could contribute to this or help? This really is a must-have feature for me. I practically don’t use anything unless there is a vim plugin (firefox even has its vimperator plugin). Vim drastically increases my productivity – it would be hard to live without it. Just wait now for the public EAP and vote for the feature if it’s not there already. When it will be available for Windows or Linux? Have you already got a release schedule? Not yet, we are running private builds evaluation still. After finishing will start working over public EAP. Is there anyway I can get on the EAP for this? I am currently using AppCode (first build project in XCode) and then load in AppCode. Mostly for C/C++, usually as extension modules for Lua, Python, Java, etc. so I’ll have PyCharm and AppCode open at the same time for the same project. What I would really like is to be able to do “Open Directory” on the root of a C/C++ codebase and have it just figure everything out. Now you will need PyCharm for Python with the C++ IDE either. Скажите пожалуйста, как скоро у вас закончится приватное тестирование и появится публичный билд? Хотябы примерные сроки. И будет ли какое то дополнение по сравнению с намеченными в начале что должно быть в билде первом? И как я понял что приватное тестирование проходит только для виндузятников, почему так? Я не уверен, но подозреваю, что приватное тестирование не только на винде. Если глянуть в issue tracker (http://youtrack.jetbrains.com/issues?q=project%3A+%7BC%2B%2B+IDE%7D ), то легко можно найти баги найденные для Ubuntu. Приватные билды выпущены для всех трех платформ. В публичном билде будет оринетировочно тот же набор – CMake + GCC/Clang + GDB. Возможны какие-то дополнения по фичам по мотивам приватного тестирования, но вряд ли сильно/принципиально поменяется основной набор. Скорее он будет дорабатываться и улучшаться. Сроков пока не могу сказать. Пока у нас есть еще желание выпустить несколько приватных билдов. Возможно ли подать повторно на участие в тестировании последующего билда? Я использую только линукс. И я так понимаю когда уже будут доставлятся какие то фичи то они будут уже с официальным билдом работать, не с приватным? У нас и так довольно много желающих. Поэтому вряд ли мы будем организовывать повторный опрос. Если следующий приватный билд будет подходить под Ваше окружение, мы Вам его пришлем. Приватный билд тоже непрерывно развивается, в нем фиксятся проблемы, добавляются новые фичи и пр. В общем обычный рабочий процесс идет. EAP 3 itself was good enough that I was using it for day to day C++ development. Now I’m stuck. Please help! Sorry. We were so busy with the AppCode EAP that missed the date a bit. But we will definitely send the 4th today. Please, wait. Thanks Anastasia. With the day coming to a close in Russia, will you still be sending out the 4th today? We are really working hard now and hope to achieve. Will try to cope today. If not then on Monday. I just want to test the JetBrains version! I am tired of using eclipse for C++ but using the stunning pycharm, intellij, android studio, phpstorm… please! send me a copy for mac! You’ve filled in the survey you are using GNU make, aren’t you? when it is expected the eap public version. I filled the survey and you reply to me that for alpha version I was not nominated. We haven’t sent you a private build mainly because of your build system. C++ IDE for now doesn’t support GNU Make. It’s only CMake and its needed to open a project in the IDE. We will start preparing public EAP after we finish private builds evaluation. Unfortunately no exact dates at this point. Really happy IntelliJ for C++ is on the way. Consider this post moral support! Dear Jetbrains, how much the IDE will cost? This information will be available closer to public EAP. Whatever it is, it will be worth it. Jet brains products are second to none. If I wrote a haiku on how great life will be when the public EAP arrives, will it come any earlier? It will be really cool =) And may be even inspire the team! Seriously speaking we are working hard and just trying to follow our own standards regarding the IDEs. We have a lot of important issues and things to implement after collecting the feedback. And still are going to continue with private builds a bit and then will start working on the public EAP. So please be patient and let us develop a great IDE that every C/C++ developer deserves. In my humble opinion, some of us do not need very great c++ IDE. we become happy with just favorite IDEA + ability to switch onto declared functions, variables, templates + launch compiler from the IDE, without any refactorings and other mega-super-cool-features. Here it is (IANAP (poet)). Be inspired JetBrains – we’re anxiously waiting! If I bought Intellij IDEA before, can I just buy a plugin to get all functionality of the C++ IDE? The plugin is not our top-priority. So first only a stand-alone IDE will be available. Later we will consider the plugin development also. We don’t have any particular estimations now. We will when we are ready. Will the IDE support Evaluate Expression? I’d love to get my hands on a preview build if possible. We have a commercial C++ product that builds on Windows, OS X, and Linux. Although I’m not overly thrilled with the IDE’s on any of the 3 platforms, right now Linux is the worst for us in terms of tooling. Any chance you’ll support WAF? So far WAF has been the highpoint of porting our code-base to Linux in my opinion. I’ve looked some at CMake and it seems like a painful step backwards from WAF. We’ve selected CMake for the 1.0 release as the most popular and used build system for C/C++ projects. But of course we’ll support more (why not to consider WAF also?) but in further releases. I’m waiting for it since the very first mention on teh internetz! Please don’t prolong my agony! I subscribed for the early preview but I received a mail after a couple of months that unfortunatelly the platform I was aiming for (linux) was not to be included in the first early release. I did try AppCode, liked it but I’m still waiting for the real deal here! Don’t let me crave, please And yes, I’m a legit IntelliJ Idea user. Hello, where do you find the information that Linux will not be supported in the first release of C++ IDE? It’s written here in this post that it does already. The supported set is CMake+GCC/Clang+GDB7. And you are using GNU Make, Clang and GDB6 as you’ve filled. We will publish the public EAP as soon as we are ready with it. We still have a lot to do. Please, be patient. Thank you, Anastasia. You surely know how to make a man happy I’ll keep waiting for the EAP. Its been better than a year teaser now, not sure if its actually going to happen :/.. If not golang would be awesome (the contributor plugin is already awesome)… Has a bit more traction at the moment.. and “linux not to be included in the first early release”? why? Sean, we’ve never stated that Linux will not be included; on the contrary, from the early stages we target all major OSes, Windows, OS X and Linux. We do understand that your patience can’t be stretched indefinitely and are doing our best to open public prevue asap. However, we won’t do that, until we sure that both, quality and performance are up to the expectation. That is not a music, if you’ll try to analyse issue tracker on how many bugs and how many guys works on them, you’ll hear no music at all. Shiitttttt. I would so contribute to this project if I could. Will there be GLSL support like in AppCode? Is it possible to get access to the EAP? I am using Linux+CMake+GCC. Unfortunately, not now. We already have quite many developers (we were really impressed with the total number!) filled the survey form and so requested the preview build for testing and evaluation. And our resources are limited so we suggest you to wait till the public EAP. Can’t Wait !!!! Wonderful news…..JetBrains For Ever ! Just out of curiousity – can you share how much traffic this webpage gets? Because I must be coming here like every other day to see if there are any updates. And I’m wondering if I’m just insane or if other people are just as excited as I am. Can you give a rough timespan in which the public preview will be available? Within the next weeks, months or next year? We don’t have any particular estimations. Hope to have public EAP till the end of the year but can’t be 100% sure. Ha-ha-ha. Good 30th May joke! Android Studio is out there, and has been for some time, buggy as hell but getting better with every release. I’m happy with VS on Windows, but unless you pony up for VS2013 you have next to no C++11 support. On Linux there’s Eclipse (ugh) or Netbeans. Please don’t make me use Netbeans for much longer! Do you mean ‘private EAP’ or ‘before the end of the year’, perhaps? Gwyn, as Anastasia wrote, we’ll do our best to deliver public EAP this year, but we can’t commit on that, since there are still a number of technical challenges to deal with. Wouldn’t it be better to use the CLang Compiler instead of the GCC as CLang is also compilant with VSC++ libs? C++ IDE supports both: Clang and GCC, with output parsing. And the IDE analyser that we’ve implemented is based on Clang. Hurray! Please open up EAP, like, yesterday! +1 for remote development. Please give me a chance to switch from NetBeans to build and debug on remote host with IDE, that is actually IDE. will it available for trail period or free version like intelij community version ? There definitely will be a trial version as with all JetBrains’s products. When will the IDE be released? We have been waiting for so long. wow. this is turning out to be a moon-shot. i know that big projects take time, but do you know what it feels like waiting for a moon-shot? i had no grey hairs when this product was first announced. now? ouch. I can’t wait for this. Any update on the project’s timeline? We’ll publish news and updates as soon as we have them. Please, be patient. We are working hard to deliver the public EAP asap. how much money does cost to get private eap? Not too many companies have people banging at the door asking to pay for a pre-beta early-version of their products. Right now we’ve collected a lot of feedback and so need to process it. Then we’ll be ready to open the public EAP. Please, be patient. July EAP is substantially slower than the June EAP. Will there be an update to this EAP before August? Thanks. Could you please provide some description of the particular cases, and may be CPU snapshots to the tracker or support (appcode-support at jet brains.com)? will there be a community edition? also, any new updates on the release schedule? For the first release no. But later we will consider this option too, probably. We really want to start public EAP asap. But first we’d like to be sure that both performance and quality are up to the expectations. We have some work to be done there. Public EAP should come during Fall. is “Fall” still looking achievable? or is it more like winter now? We hope Public EAP will be opened in Fall. But we can’t give guarantees. it’s been more than a year (I think) since we all got our hopes up. It’s so funny to see so many people just begging JetBrains to take their money and give them something…. anything…. When will the public EAP be released? We hope to open it during early Autumn time. P.S. Hope the C++ IDE can give C++14 full support in near future. C++11 is definitely included. C++14 will also come, may be not from very first EAP or release. I would LOVE to pay for access to the EAP right now. Where do I go? How much do you want? Seriously. We’ll start a public EAP during early Autumn time. Be patient, please. It’s not a long time to wait. It is just one week to mid autumn (festival). Hope I can see it in this week or early September. Jetbrains alway has the best IDEs. I’m also very excited about this project. Hope to be notified at once as soon as public EAP is available. Thank you and good luck! hey guys,i can’t wait any more. open the public eap ,please. Анастасия, скажите пожалуйста а будут ли ваши продукты добавлятся в Центр приложений в Ubuntu? Веть это было бы очень удобно и быстрее для тех кто использует не один ваш проект. С нетерпением жду релиза CLion. Интересное предложение. В будущем можем рассмотреть такой вариант. Как будем готовы, так и выпустим) Пока что на начало осени планируется публичный EAP. guys.September now…it’s time to release the public eap. when the public eap be released? many days? It will happen during the early Autumn time. Will you support Qt/other libraries auto completion? Yes, these libraries are already parsed and resolved correctly in most cases. Though some issues are possible in the EAP versions. Will we also be allowed to make C programs? Like in VS, you can just change the file ending from cpp to c and it works, would it be the same here? Yes, it’s C and C++ IDE. You can also use web languages like HTML, XML, CSS, JS and some other languages via plugins, like Lua for example. really want to know when the eap be released.it’s autumn now ,pealse. why not release the eap yet? Public EAP will be opened soon. Please, be patient. hi, im working with chromium projects, and it’s huge(100000+ files), now i use sublime text to navigate and edit, the goto function is very limit. i wonder if your c++ ide will support this situation, lots of code, but maybe just a part of them will import to editor(in st, i will add some folders, not all codes), and compile is absolutely in cmd line. If there will be a proper CMakeLists.txt file then probably yes. You’ll get the chance to try really soon. Stay tuned! guys CLion can play now! I’m so happy I think I’m going to cry…. why clion can’t runup on windows8 X64. Please report this to our support mail (clion-support at jetbrains.com), or to our tracker: http://youtrack.jetbrains.com/issues/CPP. We’ll try to help you. what’s the mail please . A good thing would be some sort of support for QT as well. Thanks. I am using VS2013 for image analysis algorithm and application development. The debug tool of VS2013 is very good. It shows a lot of information, which is very very important for algorithm debug. I’m missing there the different Project types like in Codeblocks. Currently it seems like it’s developed most likely for console applications. In Codeblocks you’re able to create Projects for wxWidgets, QT ,GTK+, OpenCV, static libraries and some more. In Codeblocks exists also a GUI designer. This are just some reasons why I wont use Clion. Let me share my impression of your new “intelligent” IDE. First off, my project is big (~600 KLoC). 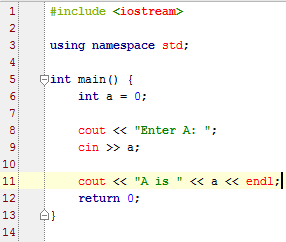 And the IDE didn’t cope with this entire code base. It ran out of memory. Expected. But then I spent a couple of hours to separate one component from that big project to scrutinize its logic in the debugger. That’s what I actually saw after launching CLion. What have you bundled with your IDE, that appears either null or unknown? Don’t your agree that it is completely useless? Then I switched both the options to use specified. And, amazingly, the IDE said that both the tools are not found. Well both, my cmake and gdb, reside in /usr/bin/ directory. And… I hope you know what my complaint is about. They must have been found by the “intelligent” IDE as they are placed in the most obvious place. So Still no one has managed to create a decent C++ IDE. I have to admit that Microsoft’s Visual Studio is the best one, although it has a lot of flaws, and I personally dislike Microsoft. So it appears I have to develop a decent C++ IDE myself. Could you please describe the environment you are working in? CLion supports GDB starting from version 7.8 (as it’s pointed here: https://www.jetbrains.com/clion/quickstart/, you can also check the other requirements there). Also please switch on the logs in Help | Configure debug log settings, add “#com.jetbrains.cidr.cpp” there, restart and open Settings | Toolchain page. Then provide us the log from Help | Show log.